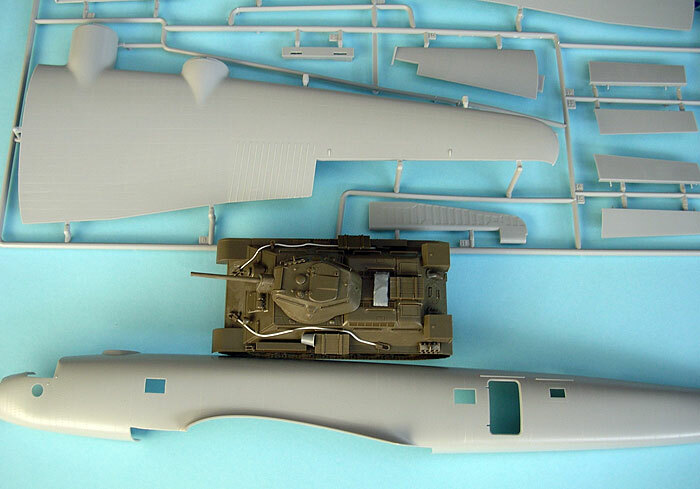 Advantages: Outline and appearance conforms to published plans; high quality mouldings; good detail in most areas; restrained surface detail; thin, clear and accurate transparent parts. 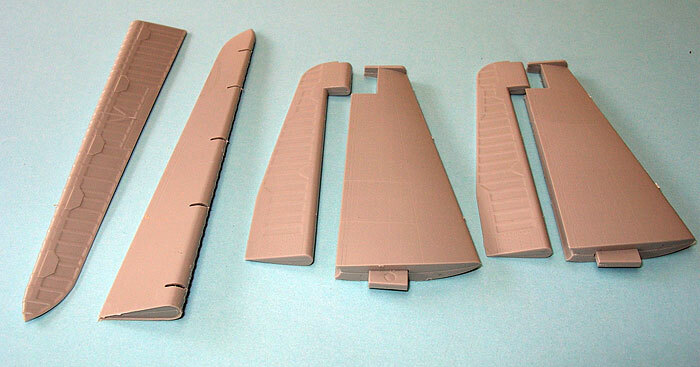 The big bird of prey has landed at last, in 1/48 scale injection moulded styrene. I could hardly believe my eyes on the evening of 16 June. There it was - a giant box wrapped in brown paper. I immediately ripped the paper off and eagerly opened the box, grabbed the camera and, the model manufacturers' worst nightmare, scale drawings. 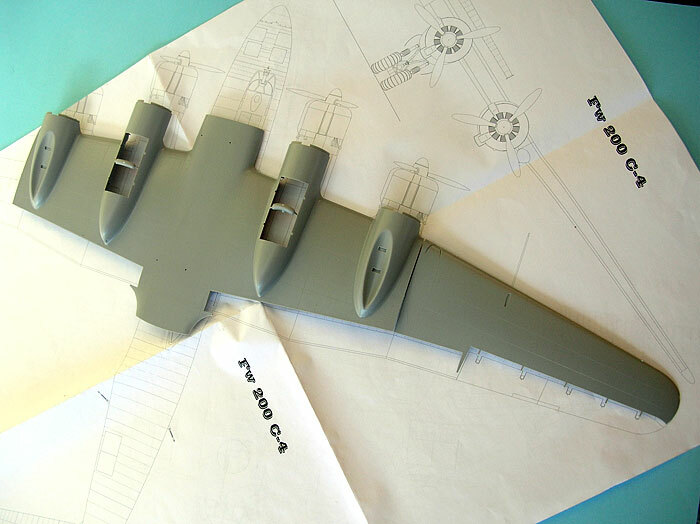 In this case, the drawings were from Waldemar Troica's excellent "Focke-Wulf Fw 200 Condor #16". 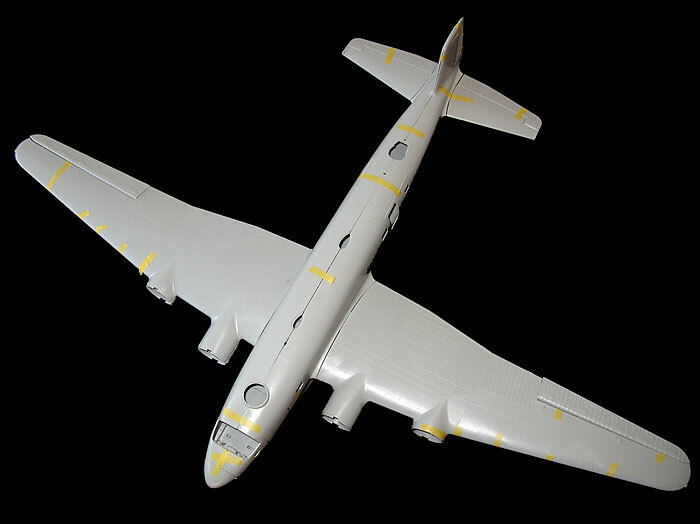 This is published by Model Hobby in Poland and is probably the only reference you will need when building Trumpeter's big Condor. I bought my copy from Battlebridge Books in Parramatta, Sydney. I laid out the parts on the plans, trying to beat the dying sun. Looks good. The wings is very close indeed - looks like they had been traced around. 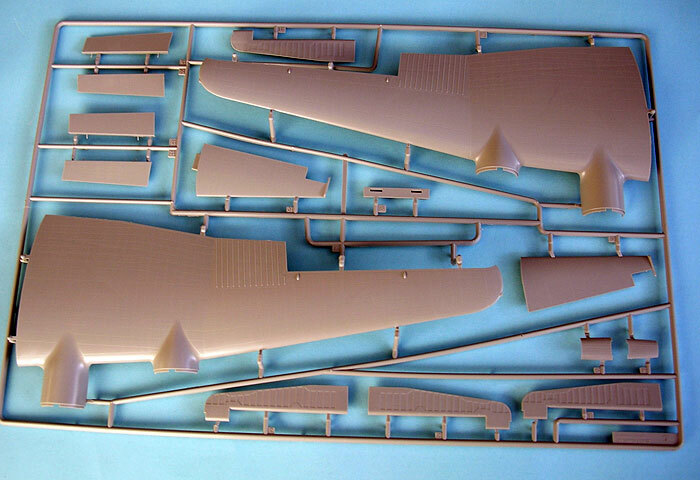 The fuselage was also very good, with only the tip of th fin extending forward about 3mm compared to the plan (minor). Beautiful overall though. 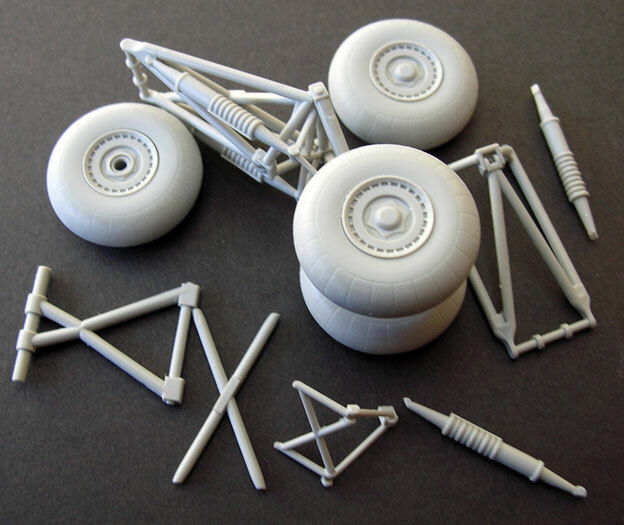 The main landing gear wheels also look a little oversize, but Trumpeter seems to have otherwise nailed the dimensions and shape as good as it gets (this is a BIG kit and there is a lot that might have gone wrong). Now, the real journey begins. Starting with the interior, the Condor looks fantastic. 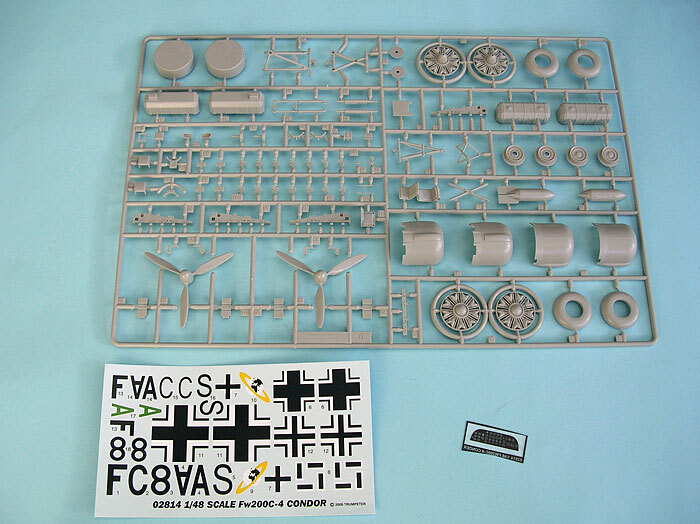 Even the internal lubricant tank and fuel cells are included, most of which will not be seen once the model is finished. The wings have the correct dihedral. 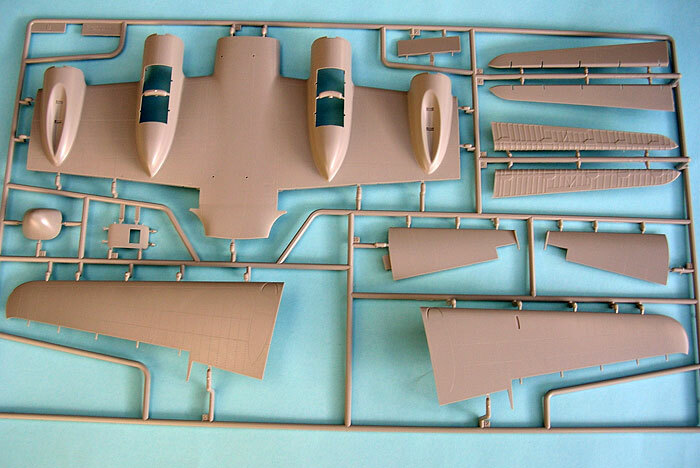 Ailerons and flaps are supplied separately. 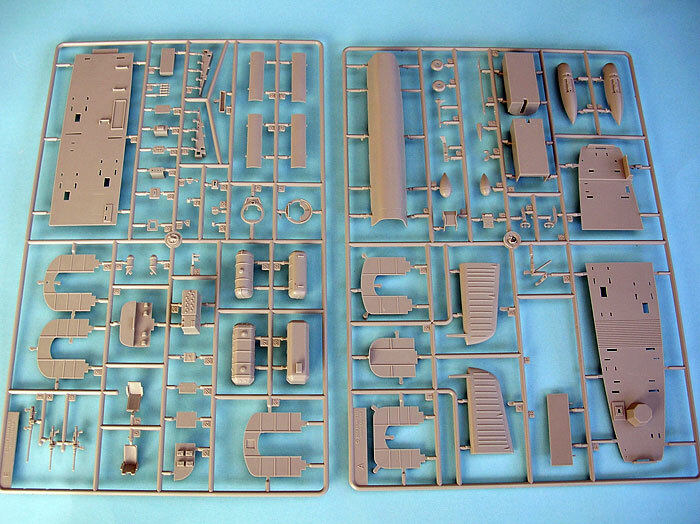 I was almost dreading the BMW 132H engines before seeing the kit but, no, Trumpeter has broken these down as just two parts per bank - front and back - and quite nicely done. 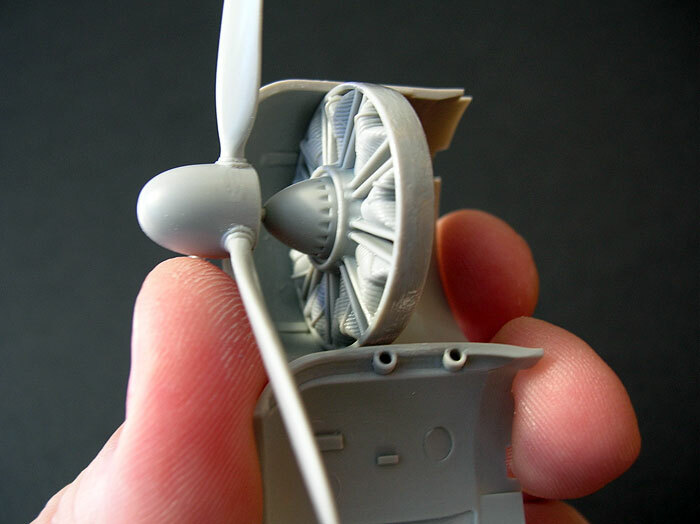 Surface detail is restrained and finely engraved, but the fuselage halves have a mould seam running along the top and bottom that will need to be cleaned. 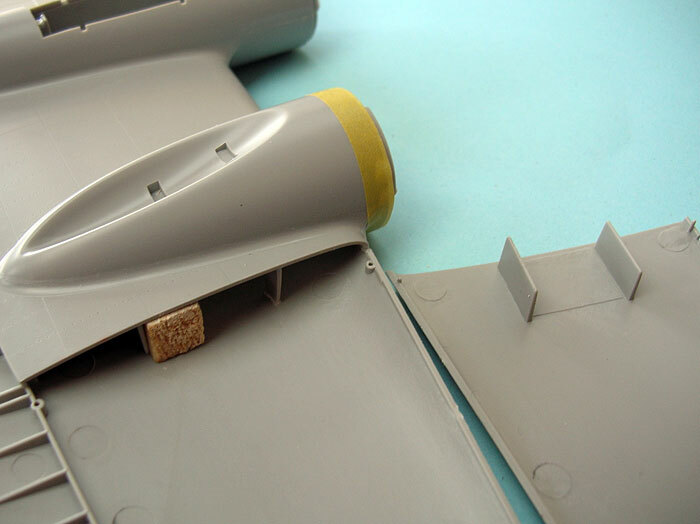 I made a wing spar from balsa to help reinforce the wing root and interior top of the fuselage (more on that later). 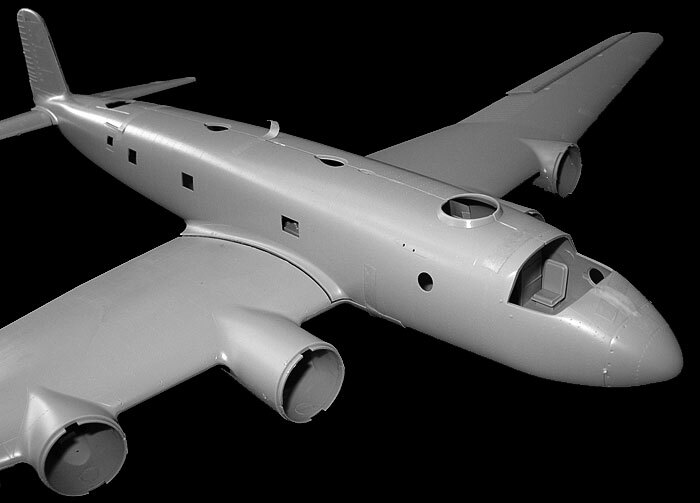 Anyone who has built a 1/32 scale kit or vacform will see where I am headed with this! In summary, Trumpeter has done a great job on the Condor. I have gotten about 6 hours into construction, and looking at progress there is probably at least triple that until completion. 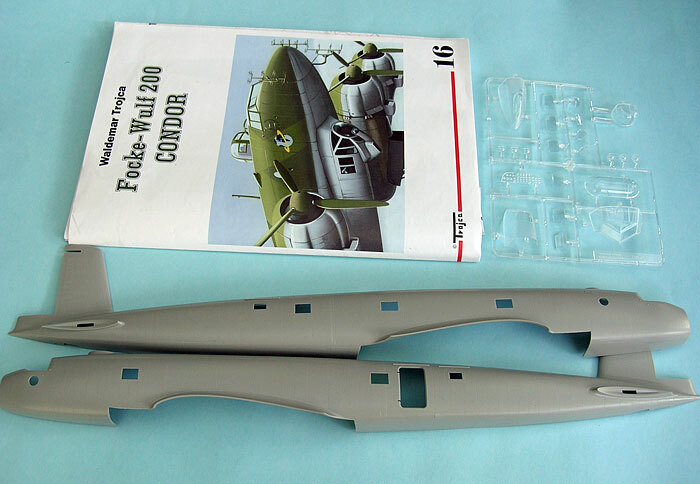 Trumpeter's 1/48 scale Fw 200 Condor should be on the shelves of hobby shops in Australia in around 2-3 weeks. Anybody wanting to buy Light Green, Dark Green and Light Blue should buy them now, otherwise good luck trying to find it when this bird eventually touches down! Thanks to Roger and Max from JB Wholesalers for the review sample.